Asparagus extract is a natural remedy available in dietary supplement form. Typically sourced from the spears, root, and stems of the asparagus plant, it's used in alternative medicine for a variety of health problems. Since asparagus extract is said to increase the flow of urine, proponents claim it can help treat conditions affecting the urinary tract. In addition, asparagus extract is said to fight cancer, promote detox, stimulate hair growth, increase libido, and treat hormone imbalances in women. A number of studies indicate that asparagus extract may help reduce levels of harmful blood fats that contribute to heart disease, such as LDL ("bad") cholesterol. In a study published in Phytotherapy Research in 2011, for example, researchers gave asparagus extract to a group of mice on a high-fat diet. After eight weeks of treatment, the mice showed a significant decrease in total cholesterol and LDL cholesterol, as well as an increase in HDL ("good") cholesterol. The study focused on n-butanol, a substance found in asparagus extract. N-butanol appears to possess antioxidant properties. 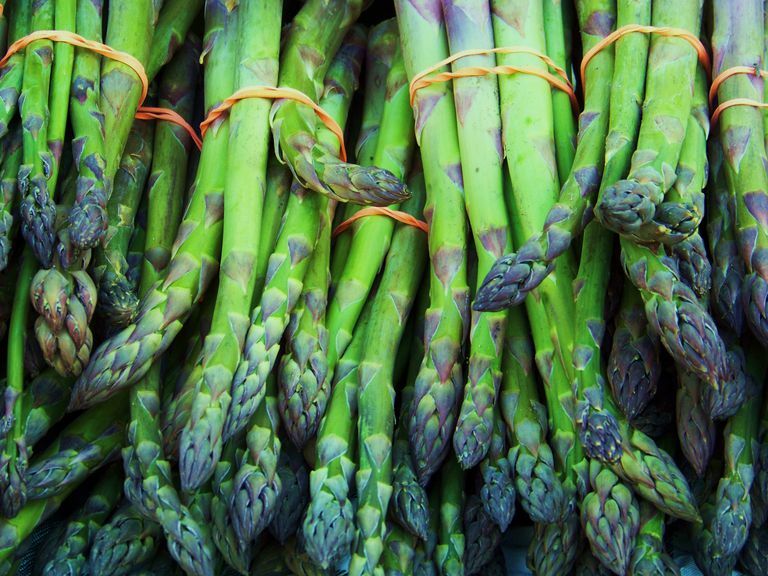 Asparagus extract may help fight diabetes, according to a 2012 study from the British Journal of Nutrition. In tests on rats with diabetes, scientists found that asparagus extract helped regulate blood sugar levels, improve insulin secretion, and boost antioxidant status. Asparagus extract may help alleviate alcohol-induced hangovers and shield liver cells from the toxic effects of alcohol consumption suggest a preliminary study published in the Journal of Food Science in 2009. For the study, researchers tested the effects of extracts of asparagus shoots and leaves on human liver cells. Their findings indicate that asparagus extract may help rev up activity in enzymes involved in breaking down alcohol. Although asparagus is safe when consumed as a food, little is known about the safety of long-term or regular use of supplements containing asparagus extract. However, there's some concern that taking asparagus extract in combination with lithium may have harmful effects. Although there's presently a lack of scientific support for the claim that asparagus extract can treat urinary tract infections (UTIs), several other natural remedies may aid in the treatment of this common condition in conjunction with standard treatment. For instance, studies show that cranberry and an herb known as uva ursi may help ease UTI symptoms. There's also some evidence that consumption of cranberry juice and/or cranberry supplements may help prevent infection in women with recurring UTIs. Many natural-foods stores, drugstores, and stores specializing in dietary supplements sell asparagus extract. You can also buy asparagus extract online. Due to the limited research, it's too soon to recommend asparagus extract as a treatment for any condition. It's also important to note that self-treating a condition and avoiding or delaying standard care may have serious consequences. If you're considering using it for any health purpose, make sure to consult your primary care provider first. Hafizur RM, Kabir N, Chishti S. " Asparagus officinalis extract controls blood glucose by improving insulin secretion and β-cell function in streptozotocin-induced type 2 diabetic rats." Br J Nutr. 2012 Nov 14;108(9):1586-95. Kim BY, Cui ZG, Lee SR, Kim SJ, Kang HK, Lee YK, Park DB. "Effects of Asparagus officinalis extracts on liver cell toxicity and ethanol metabolism." J Food Sci. 2009 Sep;74(7):H204-8. Zhu X, Zhang W, Pang X, Wang J, Zhao J, Qu W. "Hypolipidemic effect of n-butanol Extract from Asparagus officinalis L. in mice fed a high-fat diet." Phytother Res. 2011 Aug;25(8):1119-24. Zhu X, Zhang W, Zhao J, Wang J, Qu W. "Hypolipidaemic and hepatoprotective effects of ethanolic and aqueous extracts from Asparagus officinalis L. by-products in mice fed a high-fat diet." J Sci Food Agric. 2010 May;90(7):1129-35.